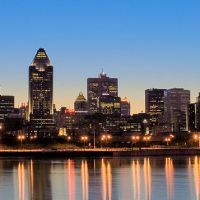 Montreal is the second largest city in Canada. It's the most important city in the province of Quebec. The Montreal Canadiens is THE professional NHL team in the city! The Bell Centre is the place for hockey, shows and concerts of international recognition! The city also has hundreds of small halls and venues for all kinds of shows, theater pieces or stand-up acts!